Get emails about events, product releases, and other DEISER news! Jump on the Atlassian stack! Up to three years, easily. 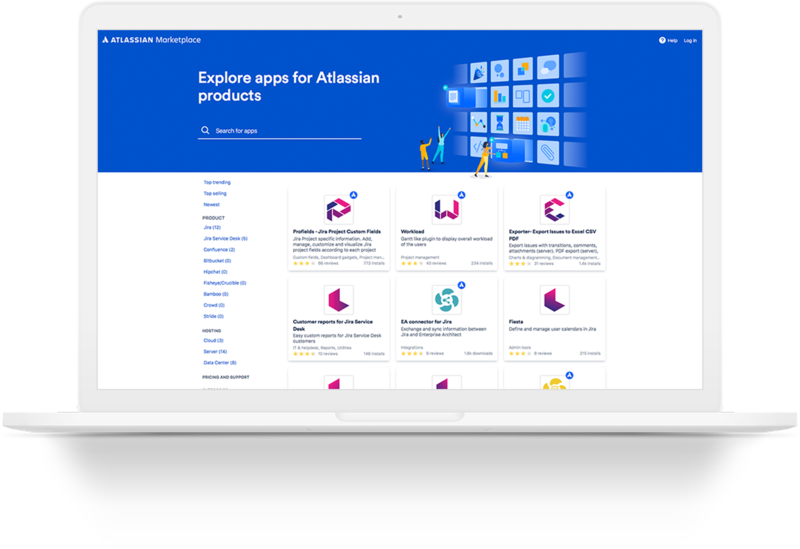 Start working with DEISER and simplify your purchasing processes for all Atlassian products and marketplace apps! All our licensing services are free of charge. Our reward? Knowing that you're getting the most out of your Atlassian stack. Find the best licensing option for the needs of your current teams and solve any technical doubts. Your orders are our top priority. Once you pick your options, we'll complete the purchase in a matter of hours. We adapt to you, and not the other way around. Get flexible conditions for your Atlassian procurement. All our licensing services are free of charge. Our reward? Knowing that you're getting the most out of your Atlassian stack. of your current teams and solve any technical doubts. we'll complete the purchase in a matter of hours. We adapt to you, and not the other way around. Get flexible conditions for your Atlassian procurement. Save time and effort and receive expert advice on your best options for all Atlassian related purchases. Bundle your apps to simplify the licensing process even more! New to any product? We give you the time you need for a proper tool evaluation so you can invite as many teams as you wish. Our Atlassian Sales Professionals (ASP) will contact you two months before the renewal date to start the paperwork and ensure uninterrupted operations. More and more teams are moving onto your Atlassian stack. Leap to the next tier fast, or migrate to Data Center. No need to pay for what you're not using. We'll always recommend adjusting to your actual user base. Are you having a hard time managing products and instances purchased at different moments? Co-term all your Atlassian product renewals into a single order. Many of our customers use dozens of apps for their Atlassian products and save weeks every year with our services. tool evaluation so you can invite as many teams as you wish. before the renewal date to start the paperwork and ensure uninterrupted operations. More and more teams are moving onto your Atlassian stack. Leap to the next tier fast, or migrate to Data Center. No need to pay for what you're not using. We'll always recommend adjusting to your actual user base. and save weeks every year with our services. Users of e-procurement software can work with us and expedite their purchase process even more. bring your work to completion. of IT service managers and customer advocates. Collaborate on your documentation, define requirements, and keep your users informed. The code repository that connects natively to the rest of your Atlassian stack. Visualize changes in your source code, anywhere it lives: SVN, Git, Mercurial, CVS & Perforce. Bamboo will lift the weight of continuous integration for you. Doing DevOps was never this easy. in case of any downtime. from the teamwork prowess of Jira! The favorite tool for software developers! service managers and customer advocates. and keep your users informed. to the rest of your Atlassian stack. SVN, Git, Mercurial, CVS & Perforce. the teamwork prowess of Jira! The favorite tool for software developers! Create your own workflows, track issues and bring your work to completion. The power of Jira at the fingertips of IT service managers and customer advocates. Power team collaboration with a chat that multiplies productivity and information sharing. Bamboo will lift the weight of continuous integration for you. Doing DevOps was never this easy. Keep your customers up to date in case of any downtime. Business teams also deserve to benefit from the teamwork prowess of Jira! Streamline your purchase even more: outsource marketplace app licenses to DEISER, and get expert counseling on what's the right app for every need. what's the right app for every need. "Since a while ago is very valuable our link with your team pleased by the collaboration that has arisen, and the efficacy and professionalism how you have solved our needs with Atlassian licenses." "I just wanted to say that has been a great pleasure to work again with your team." "I'm very grateful for the fast response during the process of management of licenses. In the matter to accelerate the process, send us the last quote with the total price." "Thanks a lot for the quick response (28 minutes). We will give you a feedback shortly." "We are very thankful for your efforts and all the help from your team to successfully achieve the licenses process."